Live entertainment, whether it is a band, dancers or a steel drummer, is something that we see on the rise nowadays at events. We have seen a tremendous increase in the number of clients showing interest in having some form of live entertainment at their events. Just recently, a client of ours celebrated his 70th Birthday and as entertainment, a Bahamian Junkanoo Band performed. Junkanoo is a masquerade held primarily at Christmas and New Year’s in the Bahamas. It consists of a street procession of characters in traditional costumes and dancing to drums, cow bells, and whistles. It is believed that this festival began during the 16th and 17th centuries. The slaves were given a special holiday at Christmas time, when they could leave the plantations to be with their family and celebrate the holidays with African dance, music and costumes. After emancipation, they continued this tradition and, today, Junkanoo has evolved from its simple origins to a formal, more organized parade with sophisticated, intricate costumes, themed music and incentive prizes. Having been in the Catering and Event Planning business for 25 years, we’ve realized that music can make or break an event. It can either bring the guests to the dance floor or have them falling asleep at the table after their meal. 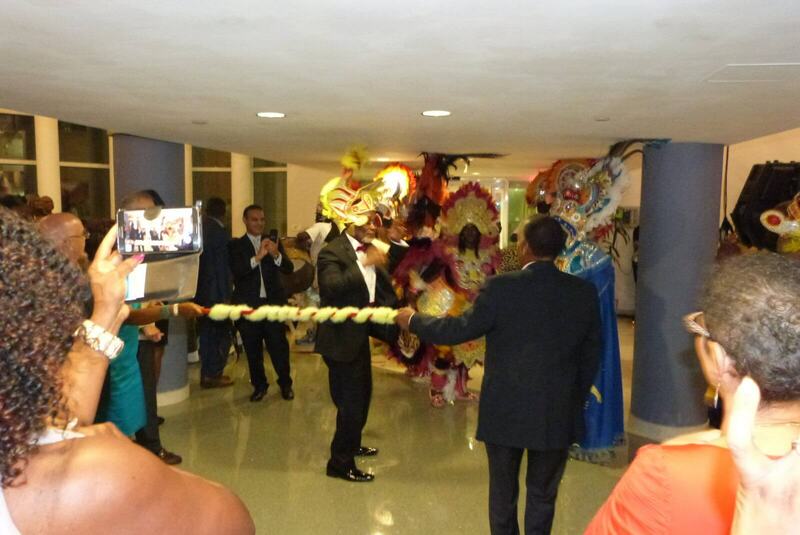 We did, however, notice a couple of things that happened at the 70th Birthday Celebration. Firstly, although there was music playing, no one was really on the dance floor dancing. The guests were bopping their heads to the music and we could tell that no one really wanted to be the first one on the dance floor. 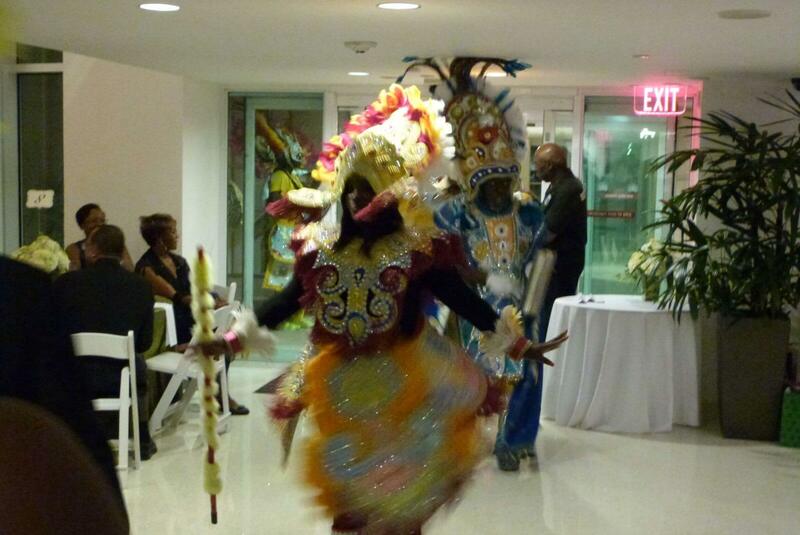 Suddenly, the Junkanoo Band arrived and surprised the guests with their appearance. 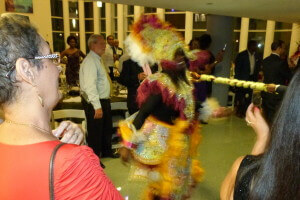 Everyone got up from their seat to either take a picture of the Junkanoo Dancers or accompany them on the dance floor. Most of the guests who got up to dance with the band stayed on the dance floor well after the band had gone and had a fabulous time! To conclude, in addition to booking a DJ for catered events, we find that many clients also want to book other entertainment such as violinists, bands, and dancers. Great event entertainment significantly enhances the enjoyment of guests!